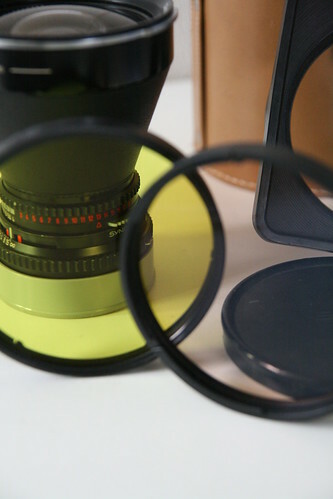 SOLD Hasselblad Distagon 40mm C with rare Heliopan filters( yellow and red/warming! 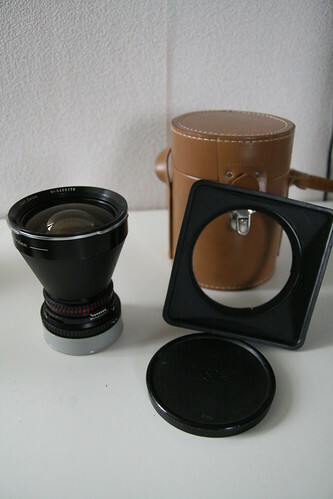 I am selling my Hasselblad Carl Zeiss Distagon 40mm f/4 C wide angle lens, for the Hasselblad V-System like the 500c, 500c/m and 503cx. It is in very good condition, shutter speeds work properly, the front glass is clean, only the back lens has a little dust particle, but this won't effect anything, it isn't visible on photos made by this lens. -Very rare, very big filters wich fit on the 40mm, a yellow filter and a red/warming filter, both excellent for black and white photography!